It’s back! 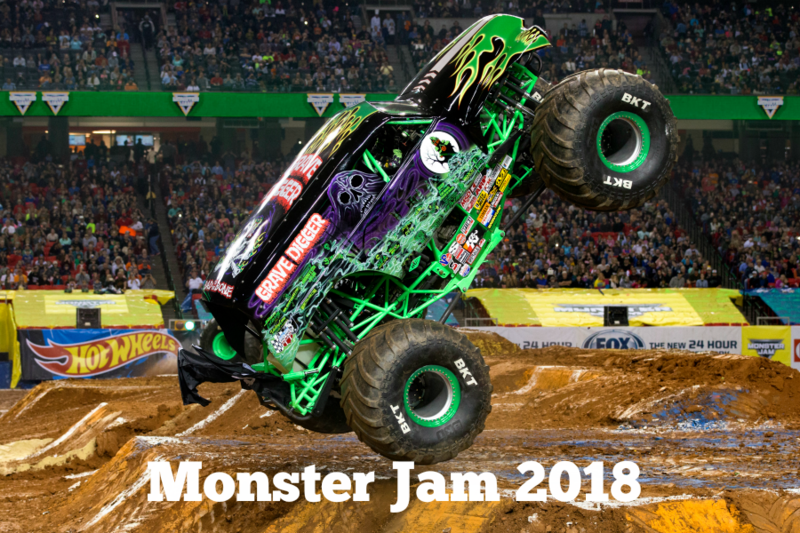 Monster Jam 2018 is here, and is taking over Anaheim Stadium Jan 13 & 27 and Feb 10, 24 & 25. 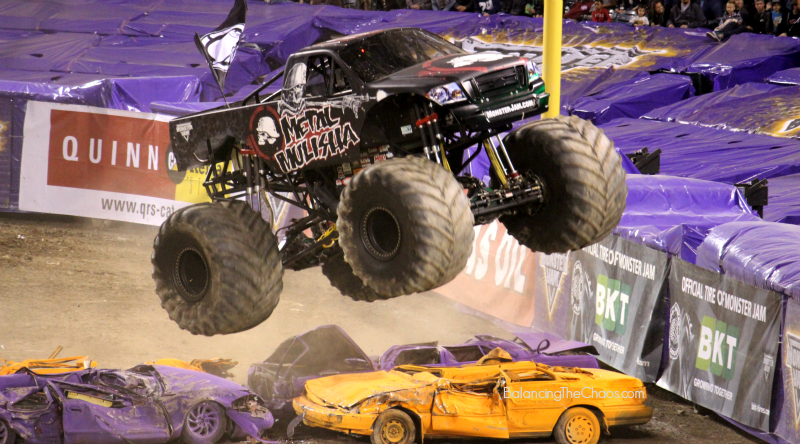 Dedicated Southern California Monster Jam fans will flock to Anaheim to see high flying stunts, destructible demolitions and more while monster trucks compete to see who is on top. 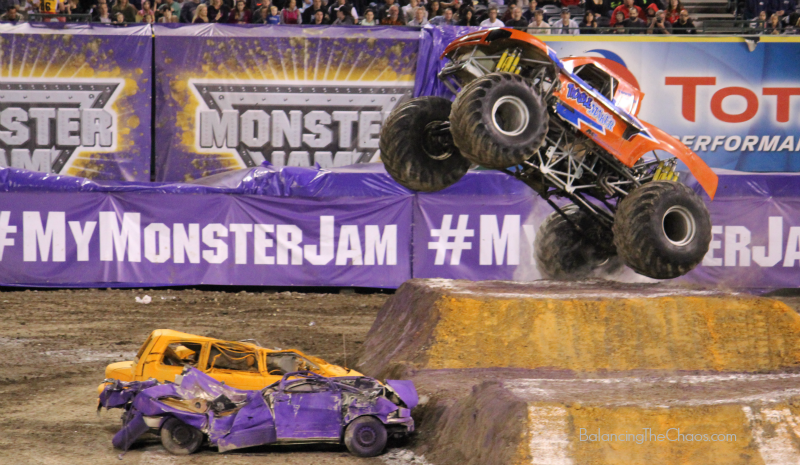 Monster Jam starring the biggest performers on four wheels: Monster Jam trucks! Families will flip over these incredible custom-designed trucks as they race, soar and smash through all kinds of obstacles. These incredible twelve-feet-tall, ten-thousand-pound vehicles will mesmerize kids of all ages during this exciting stunt show. We’ve gone to Monster Jam for the couple of years and the kids are hooked! An awesome family event, we truly enjoyed spending most of the day at Anaheim Stadium as the fun starts at 2:30pm with the Pit Party. Guests will have the opportunity to meet the drivers and get up close for picture opportunities with the Monster Trucks. Pit Party Early Access Pass $50 for Saturday shows only. Tickets now on sale – all seats are reserved; tickets available for purchase online at Ticketmaster.com, all Ticketmaster retail outlets, charge by phone at 800-745-3000 or in-person at the Angel Stadium box office. Start the day right at the Pit Party. Monster Jam fans will have a chance to get up close to most of the Monster Trucks in Monster Jam 2016. The trucks and riders enjoy greeting their fans, posing for pictures and signing autographs. Helpful Tip: You’ll want to protect little ears because the engines are quite loud, leaving your ears ringing long after the show. Pick up either noise cancelling headsets or ear plugs from your local hardware store. About Feld Motor Sports® Feld Motor Sports, Inc. is the world leader in specialized arena and stadium-based motor sports entertainment. Feld Motor Sports productions include Monster Jam®, Monster Energy Supercross, AMSOIL Arenacross and Nuclear Cowboyz®. Feld Motor Sports is a division of Feld Entertainment, the world’s largest producer of live family entertainment. Official Monster Truck Series only at Monster Jam. For more information on Feld Entertainment, visit www.feldentertainment.com.